Design integrity and the understanding of functional space has made Panelfold the first preference of the discriminating designer for over five decades. 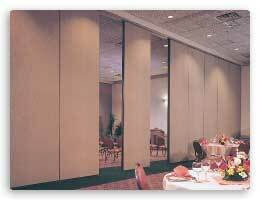 We often hear the comment that Panelfold operable partitions are the best-designed and best-performing in the industry. There is little doubt about how much material, craftsmanship and solid performance we pack into each operable partition. Click on a product below or on the navigation menu above for specific features for each model. 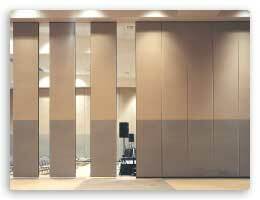 Moduflex® Series 400, 3 1/4" (82mm) thick operable walls for general purpose applications have high density panel faces bonded to metal frames providing strength, mass and stability. Available to STC 50. 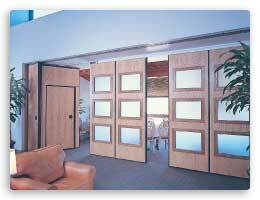 Moduflex® Series 500, 3 1/4" (82mm) thick steel operable walls are designed for the most demanding performance criteria. 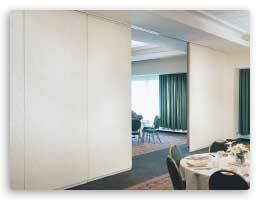 Durable steel panel faces are welded to 16-guage steel frames in a unibody construction. Available to STC 52. Moduflex® Series 600, full 4 1/4" (108mm) thick operable walls for general purpose applications have high density panel faces bonded to metal frames providing strength, mass and stability. Available to STC 53. Moduflex® Series 800, full 4" (102mm) thick steel operable walls are designed for the most demanding performance criteria. Durable steel panel faces are welded to 14-guage steel frames in a unibody construction. Available to STC 55.